IDEAL Banner Trek travel route. The IDEAL combine is a global effort that leveraged the expertise of our employees around the world. 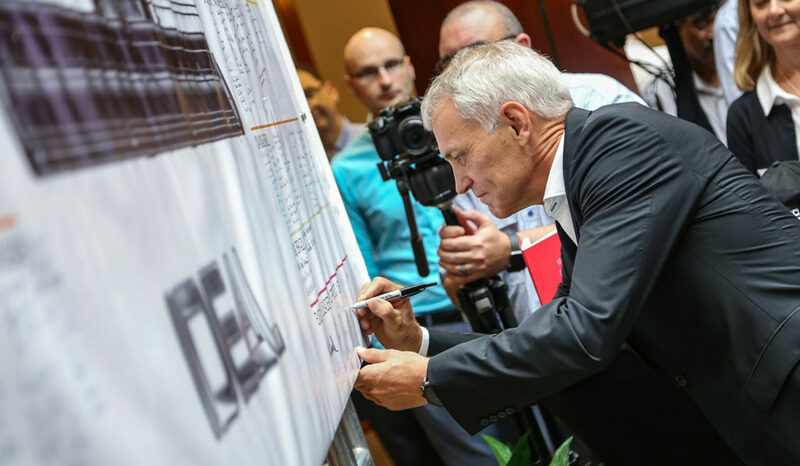 Now, those employees are signing the IDEAL Employee Innovators banner across 12 global cities to celebrate their contributions. The IDEAL Employee Innovators signature banner was created in Duluth, Georgia, U.S. at our headquarters by the Global Corporate Marketing and Brand Communications team to celebrate this global achievement. Get ready for power! Here comes IDEAL. 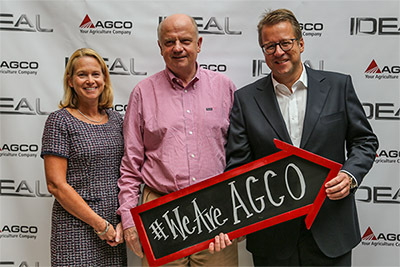 AGCO has boldly gone where no other combine has gone before. The IDEAL combine harvester range was designed from the ground up using the best minds across our global AGCO family. This was a rare opportunity because most ultra-large combines are modified to accommodate necessary updates. Not this beast. The IDEAL combine is an original. 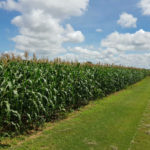 It incorporates the newest digital advances in the agriculture industry and addresses today’s competitive farming needs. It took us more than five years of testing, designing and more testing. The result is exceptional power, flexibility and dependability. Engineered with cutting-edge technology and profitability top-of-mind, IDEAL leads the industry in both grain capacity and efficiency. Here we see what makes the IDEAL combine range an industry leader. 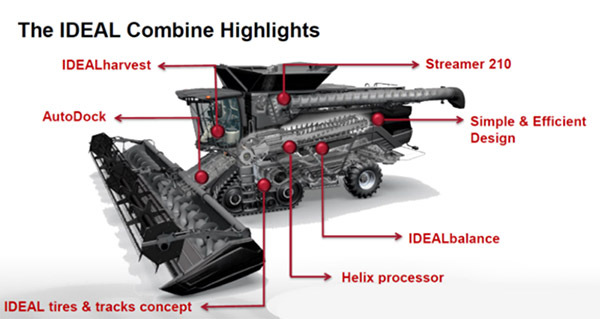 Designed as the most intelligent combine in the industry, IDEAL provides breakthrough innovation and never-before-seen capabilities in our industry. Its superior grain handling, narrow-body design, and outstanding throughput make it the machine for virtually every farmer in the world. IDEAL’s fully-connected, revolutionary technology optimizes the overall customer experience. The combine includes an advanced mobile monitoring feature that remotely sends machine data to customers in real-time — just one of IDEAL’s many forward-thinking services. During development, our company worked closely with our global centers of expertise and developed each module so that it gives perfect results under any harvesting conditions. Special attention was paid to efficiency, grain and straw quality, absolute reliability, easy and logical user-friendliness, as well as a revolutionary sensor technology for optimal machine setting. A Global Initiative. Our Team: The Power Behind IDEAL. Driven By Employee Innovation. IDEAL was developed to meet customer requirements and global market trends of today and, in the future. The combine fills a future-oriented market niche environment, which is why AGCO developed this unique IDEAL combine in performance class 7, 8 and 9 with 451, 538 and 647 HP. 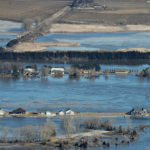 Visit IDEALHarvesting.com if you are located in North America. Visit ideal.masseyferguson.com if you are in Europe & Middle East. 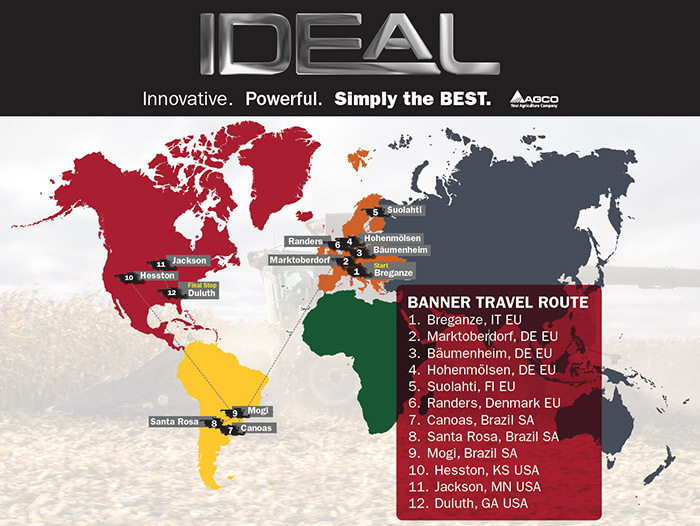 Visit ideal.fendt.com if you are in Europe & Middle East.